Welcome to the Educational Outreach section of the Department of Entomology. 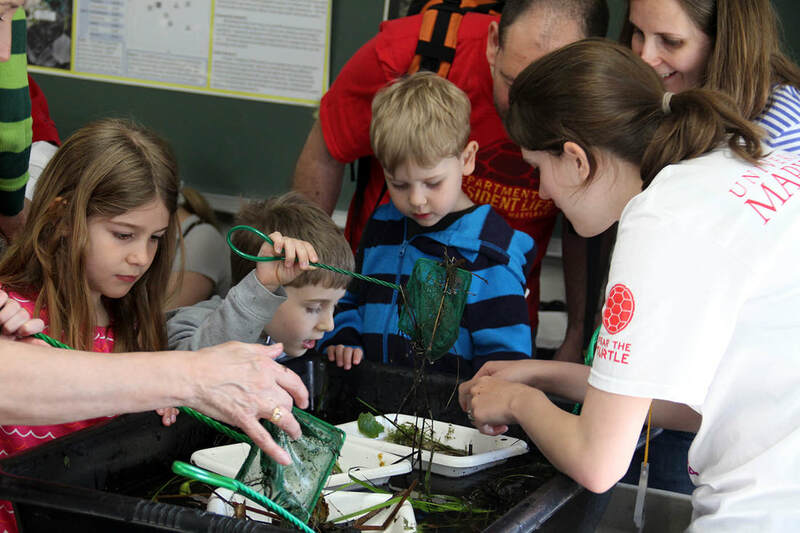 Our faculty, staff and graduate students extend science education beyond classroom boundaries to audiences of all ages. Insect Questions - Need help identifying a insect from your garden? Wondering how to control Mosquitos? Our Insect Questions Tab links you to high quality, local resources to answer your burning Entomological questions. Insect Summer Camp - Week-long day camp sessions for 7 to 12 year olds. Campers use insects and other arthropods in natural and laboratory settings to learn about biological, environmental and ecological concepts. Maryland Day - See and touch live insects and arthropods during the University of Maryland's spring open house. Over 40,000 visitors attend each year. Bug of the Week - Each week we explore the fascinating lives of insects found in and around homes in suburban Maryland - and sometimes in exotic locations around the world. A fun way for both adults and kids learn about the wonders of biology using examples from the insect world. Concepts such as food webs, natural selection, behavior, herbivory, chemical ecology, and predator-prey interactions are introduced in an easy-to-understand way.